The Hampton Inn & Suites Syracuse Erie Boulevard /I-690 hotel is located in Syracuse, in the Finger Lakes region of central New York. Enjoy a refreshing summer swim in Green Lakes State Park, or play a round on the Sunnycrest Park Golf Course. Visit Armory Square for fine food and great shopping. Enjoy a refreshing night's sleep when you stay in a clean and fresh Hampton bed® at this hotel in Syracuse, just minutes from Syracuse University. Plunge into our indoor swimming pool or keep fit in the fitness center with a range of cardiovascular machines. Start each day with a delicious Hampton’s free hot breakfast or simply grab a Breakfast Bag to take away with you on any weekday morning. Keep on top of work away from the office in the hotel’s business center, fully equipped with fax, photocopying and printing services. 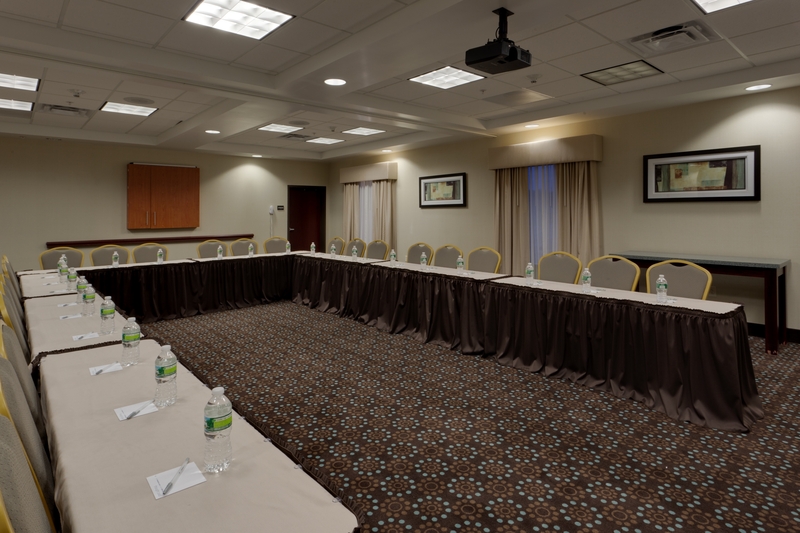 Host a meeting in our 1,110 sq. ft. of flexible meeting space. Our hotel in Syracuse offers the amenities and conveniences that make you feel at home.